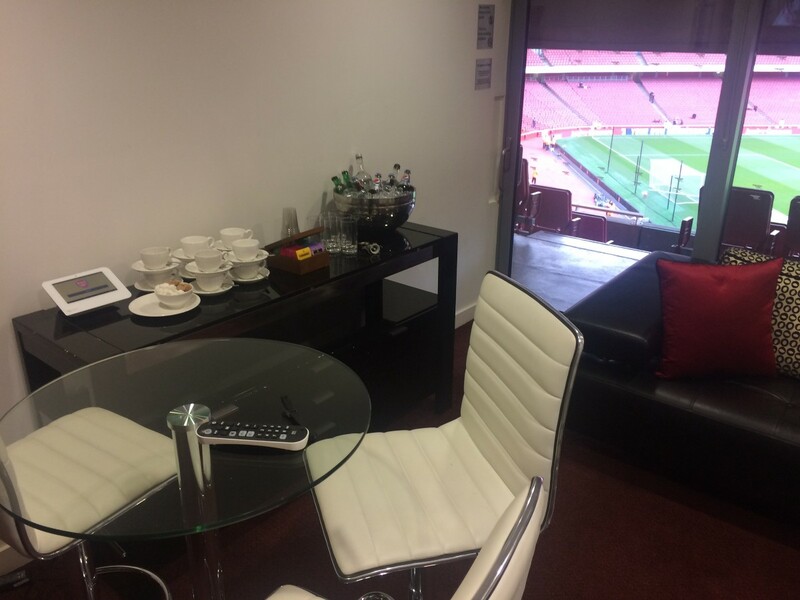 While sitting out a game due to injury at Emirates Stadium, an Arsenal player, noticed food and drink being delivered to the VIP box next to his. His curiosity led to the discovery that his neighbours were taking part in a test of an order and pay service, powered by WoraPay. Even though he was nursing an inflamed back, he was eager not to be left out and made a request. Not likely to deny a star player, fans taking part in the trial gave him a test credit card (which had been issued by WoraPay), encouraging him to try out the ordering system himself. The contactless card was used with a dedicated tablet in the box to make the order — similar to what is used at fast food establishments like McDonald’s. His food was delivered well within ten minutes of ordering. This experience is an example of how WoraPay’s order and pay platform solves real problems, says Vaidas Adomauskas, co-Founder and CEO of WoraPay. When customers observe how easy and fast it is to solve those problems demand for order and pay can “go viral”, he adds. 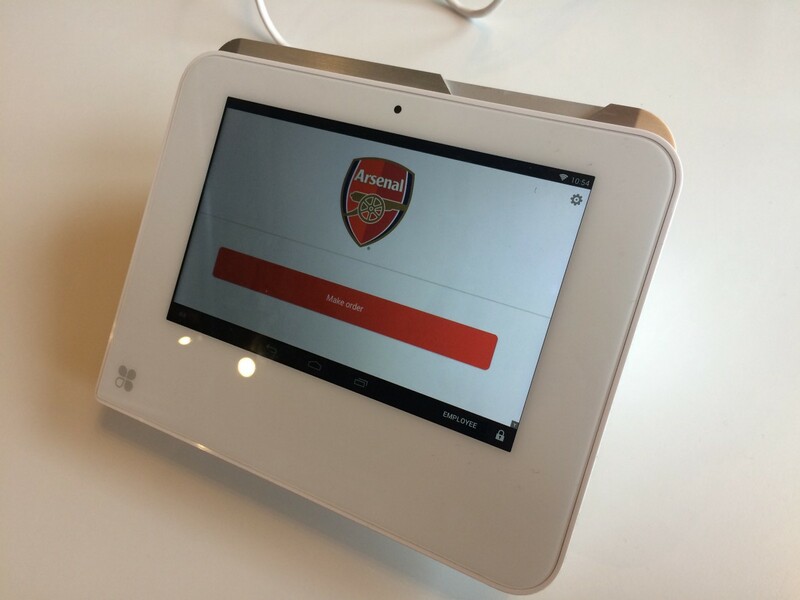 WoraPay tested out its order and pay platform as part of the Arsenal Innovation Lab, a 10-week programme to identify products and companies which can enhance new fan experiences. 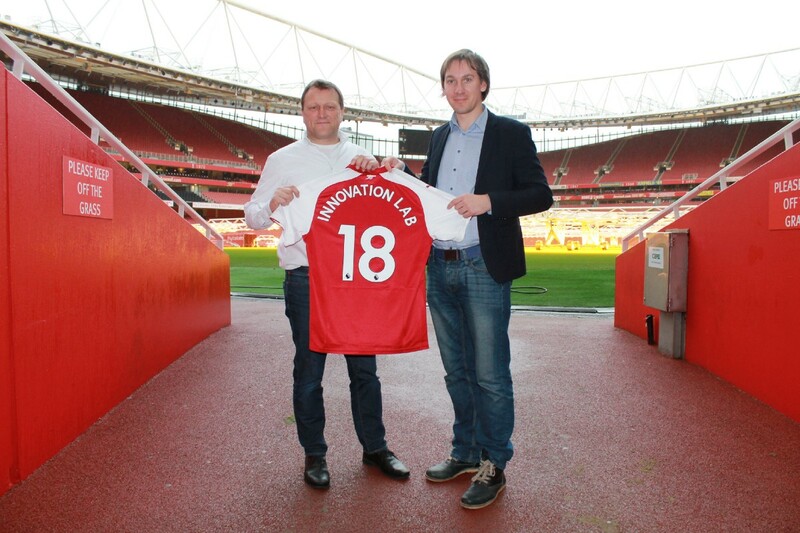 The Arsenal Innovation Lab launched in September 2017 with innovation specialist L Marks and after receiving over 250 applications, six startups were selected to work with the club to develop their proposals. The startups, including WoraPay, unveiled the results of 10 weeks of hard work on March 19th of this year. There is growing trend in retail, whether it be in coffee shops, restaurants or even sports arenas, to allow customers to order items, via mobile, avoiding lengthy waits and annoying queues. “WoraPay has been in this field since 2012 and we have been watching the trend grow in the UK,” says Adomauskas. As part of the Arsenal Innovation Lab, WoraPay focused on the club’s premium members and their experiences in the VIP boxes. Research concluded that out of 140 VIP boxes, only a portion purchased catering services in advance and that many premium fans did not decided on food and drink options until match day. This meant they had to leave the VIP boxes, during the game, to queue at bars or restaurants on various levels at Emirates Stadium. “We knew this experience could be improved,” says Adomauskas. WoraPay took a couple of weeks to discuss potential use cases, but started the first trial of the mobile order and pay service on week three of the innovation lab. “Such a concept works perfectly in environments where people come back every day, for example coffee shops,” says WoraPay co-founder Aurimas Bakas. However, this concept was new to the stadium. “We were trying to learn how fans would react to the product, while also delivering orders to the VIP boxes,” he adds. One of first hurdles to the pilot involved internet connections — which is needed to allow customers to not only download the application and create an account, but to make orders as well. After a few trials, WoraPay developed a solution that combined a tablet hardware device with contactless card reader and WoraPay software installed that were less reliant on the public in-house WiFi at the stadium. Once the service relied on a dedicated Wifi specific to each VIP box, testing of the service greatly improved, says Bakas. The tablet serves as an ordering kiosk and is simple and easy to understand for customers. 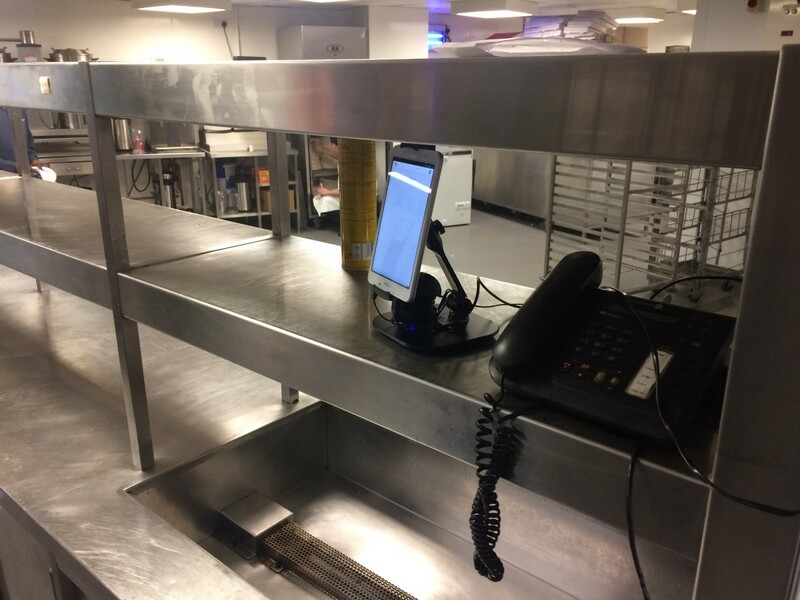 A selection of food and drink is made on a menu, a contactless card is used on the device and the order is sent to catering to be ready for delivery. Different kitchens and bars get their orders and “runner” managed the delivery from different locations. User feedback for the order and pay pilot at Emirates Stadium was very positive, says Richard Jackson, UK managing director at WoraPay. Most improvement points for the service centred on the user interface, for example including photos for easier navigation. The ordering system was developed together with Cardnet, from Lloyds Banking Group, which is a WoraPay partner along with a hardware Clover terminal from First Data. The platform is integrated with bank’s acquiring technology and the service can be set up and launched within a day with no extra resource needed. Although, the service is a technical offering, the team at WoraPay had a lot of praise for the catering teams at the stadium. WoraPay entered the 10 week Arsenal Innovation Lab with an aim to improve the club’s premium member match-day experience. While the initial pilot focused on food and drinks, WoraPay are now thinking beyond delivering food platter and beer to VIP boxes. “Imagine a match-day portal where, as a fan I am able to order t-shirts with my name on it to my box, I could get tips how to leave the stadium after the game, services to disabled people could be explored, stadium tour upsells, etc. As a result, we believe that this is just the start and look forward to further developing the concept,” says Adomauskas. The WoraPay platform is integrated with Masterpass from Mastercard allowing users of WoraPay’s mobile wallet WioPay to pay with a secure, one-click payment. The Mastercard payments solution stores all payment information, including card details in one convenient, secure place. Lloyds Cardnet, from Lloyds Banking Group, is also working with WoraPay to bring the mobile order and pay service to more UK retailers.